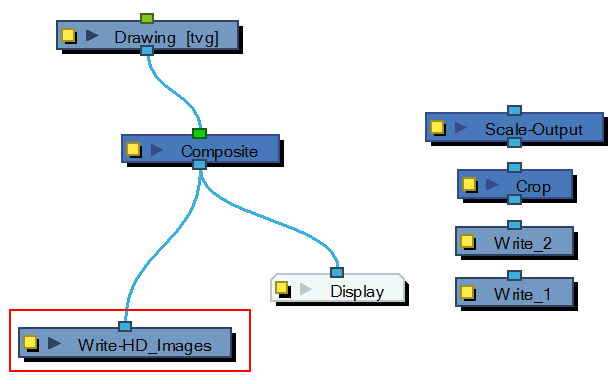 Once you know the type of render you want to do, you will need to retrieve your modules from the Module Library and connect them to the scene’s network. 1. 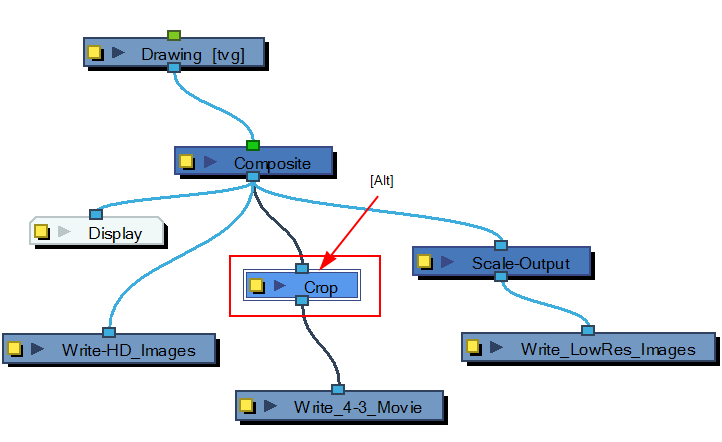 In the Module Library view, retrieve the necessary Write, Scale-Output and Crop modules. 3. Open the Write module’s Editor by clicking on its Properties button. 4. Name the Write module according to the render type that you are planning to do. 5. Set the Write module parameters. 6. Connect the other Write modules and repeat Step 2 to Step 5. 7. Using the [Alt] key, insert the Scale-Output modules between the final Composite module and their corresponding Write module. 8. 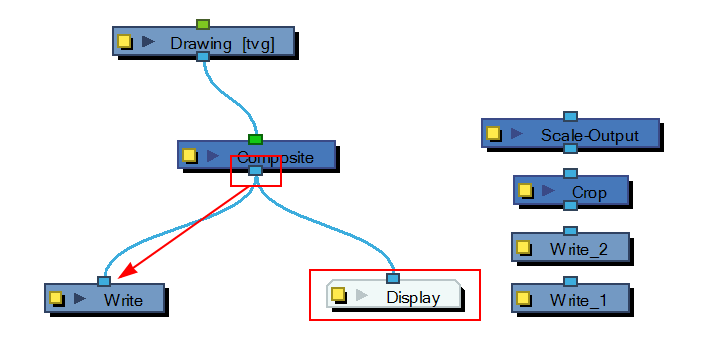 Using the [Alt] key, insert the Crop modules between the final Composite module and their corresponding Write or Scale module. 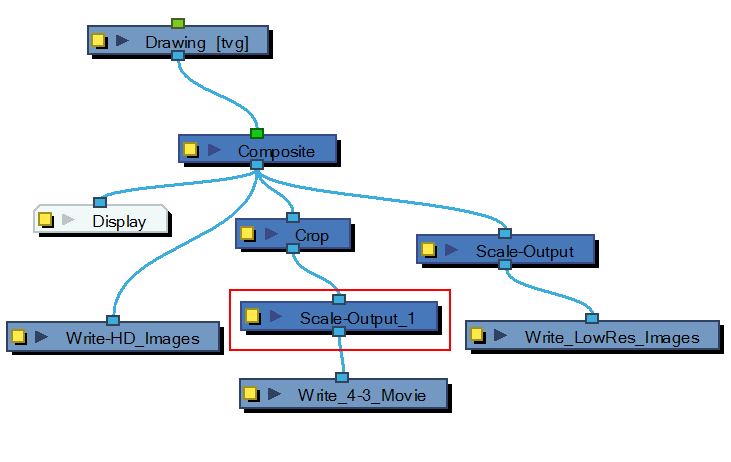 ‣ If the output from the Crop module has to be scaled down, use a Scale-Output module. 9. 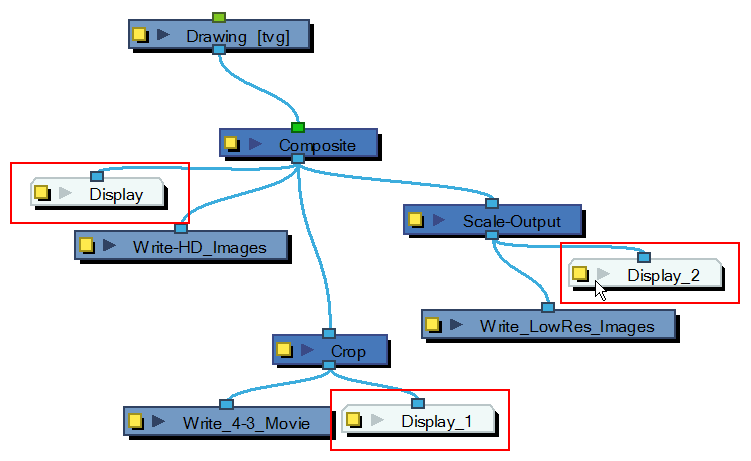 Connect a Display module to each Scale-Output or Crop module to be able to see each final image in your Camera view.